Today Fort Fido's team met up with, Elsa, bright and early for her assessment. 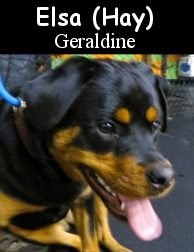 She is a spunky, seven month old, sixty pound, Rottweiler. 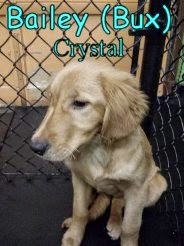 This high-energy young canine, is coming to The Fort to hone her social skills and drain off some of her extra energy. Elsa had surgery about a month back, and has been a bit cooped-up and sedated ever since... However, you'd never know it by the looks of her! She was ready and raring to go this morning, especially after being introduced to the Big Roll Play Area. Inside, Elsa wiggled and wagged her whole body, happily greeting each and every pack member that arrived. For a young dog that hasn't been too socialized, she did a darn good job at "meeting and greeting". Elsa even made friends, and played, with Chedder, and several others, within minutes of her arrival. Here, Elsa and Chedder get into Beast Mode together. 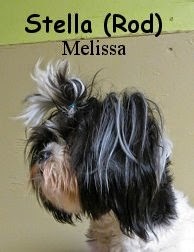 We believe that Elsa can grow up into a very social, calm and well balanced adult dog. Rottweilers, are what we here at The Fort call, "a lot of dog". In the wrong hands, and with the wrong set of "rules", they can quickly become unpleasant and hard to manage. The reason, is because they are an extremely smart, strong, and athletic "Power Breed"... One with brute-strength, and a headstrong attitude, particularly, when in the presence of weak leadership. Given time, consistency, a strict routine, and very strong leadership, today's Elsa can thrive. Fort Fido is happy to have her join our ranks because she had a really good time here. We hope that she can be kept on the right track and can continue to blossom. You go girl! Enjoy your weekend, and the Superbowl, if that's your thing. P.S. We have plenty of room here at Fort Fido on Superbowl Sunday. Several of our customers are in Arizona for the game, and many more will be dropping their canines off for Daycare and or Overnight Boarding around Sunday... You know... To keep them out of the queso dip lol! Feel free to have your canine pal join us. Upstairs, it was business as usual in the Little Roll. And the Big Roll had it's normal share of pretty much nonstop dog-play-action. Oliver, Espy, Chedder, Jackson, Nevada, Della, Ryker and Reilly, just to name a few, were having a good old time. Today, I'd also like to add this awesome clip of our boy, Brix, picking this year's Super Bowl Winner. Hahaha, very cool, good on ya boy, GO HAWKS! Thanks to Brix's owner, Lisa, for sending this in. I'll cap this post off with one dog-funny I saw this morning. Here's "Patient dog entertains baby goat"
P.S. If you have any fun pictures or videos of your canine buddy(s), please email them to me so we can show them off on the Blog, we love doing that! I've collected a few awesome dog links and clips over the last week or so... They most definitely entertained me, hopefully they'll do the same for you. The Australian Postman one has a bit of "adult language" in it, but it's certainly worth a view. Enjoy! Dog sits in a Salon Chair to get a hair cut and is the best human lol! An Australian Postie's best friends and worst nightmares. Lola came to the The Fort for her Assessment today. She is a six year old, ten pound, fawn colored, Chihuahua Mix. Lola is really cute and sweet, and kind of reminds us of a female Cortez lol! Upstairs in the Little Roll, Lola sniffed around a lot, finding out everything she could about her new-found play area. As other canines began to arrive, Lola seemed excited to greet them. She met with them properly, and had no problems socializing. Towards the end of her stay, she even began to bust out into a little bit of play. 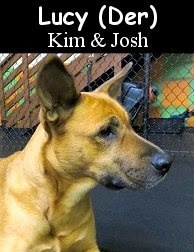 We plan on seeing her for some future Overnight Boarding visits, and believe that she'll really have a blast on her next go around. 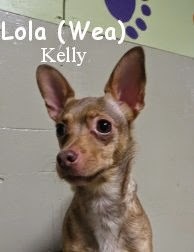 Swell job today Lola, the Fort Fido crew is happy to have ya, and we look forward to seeing you again. This morning we welcomed Bailey into The Fort. Bailey is one cute 22-pound golden retriever pup! Bailey came in with no worries this morning and got right to playing with Georgie within the medium roll. When Georgie saw Baxter, she was ready to greet and play with Baxter. Take a gander of their playfulness below. We look forward to seeing Bailey return to Fort Fido to play some more! Have an awesome day and stay warm. Here are two cuties, that we met up with today for their Assessments. Meet Mabel and Harlowe, what great names! 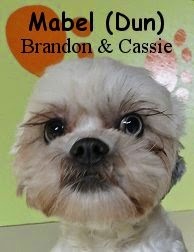 Mabel is a one year old, thirteen pound, Havanese and Shih Tzu Mix, AKA, a Havashu. 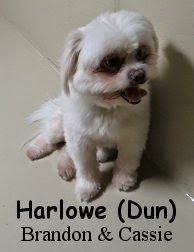 Harlowe is a three year old, sixteen pound, Lhasa Apso and Maltese Mix, AKA, a Lhatese. Mabel is a bit more spunky than her "brother" Harlowe, more social, and much more interested in play. She even started to chase a ball around a bit during Ball Time. Harlowe on the other hand, is more laid-back and reserved when compared to Mabel. He was fine with the pack, but didn't seem too interested in any rebel-rousing lol. Both Mabel and Harlowe are great dogs, that are welcome to attend Fort Fido anytime. Given some time and consistency, they should get even more comfortable here. We hope that they can extract much more fun from future Fort visits. Have a nice weekend, GO HAWKS! Meet Boris! 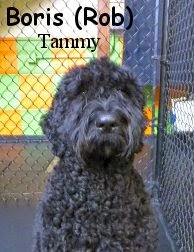 He is an extremely handsome, nine month old, seventy pound, Black Russian Terrier. This striking canine, stayed with us today in The Fort's Big Roll. There, he meandered about the place, meeting and greeting with the pack. Boris was quite comfortable with the experience, but unfortunately wasn't ready to get into any play. He's very well mannered, but maybe too much so lol, we really wanted to see him get to playing, and hopefully he will in future visits. One neat fact, is that Boris, just so happens to be the "little brother" of the beautiful, Zariah, who has been a Fort Fido member for some time now... What a neat and not too common breed, very cool! Good job today Boris buddy, we'll see you next time. This morning we had the pleasure of meeting Dolce. 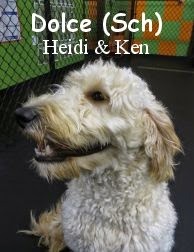 She is an 8 month old, 45 pound, Goldendoodle. Dolce had a great first day here at the Fort, she did an awesome job interacting with the other members of the medium pack. She tried to play with every dog she met, but her favorite was Sammy the Puggle. Dolce is welcome back anytime, and we hope to see her again soon. In this clip you can see Dolce having a great time playing with Sammy the Puggle. You can also see Lucky and Sierra trying to join in the fun. To cap off a busy week here at Fort Fido, we assessed the extremely-cute, Jax. 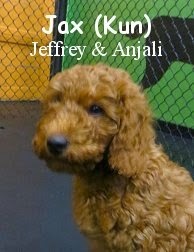 He is a wiggly, three month old, fifteen pound, brown/apricot colored Labradoodle. This little dude is quite the "heart-melter" lol. We escorted him to the Medium Roll, and although he would have done just fine with the little dogs, we wanted him to get his "socialization on" real proper like, and have him grow into his newly found pack. He needs to watch, listen, and learn, from some of the bigger and wiser canines. Jax sniffed about the play area happily, just ecstatic about meeting the other dogs he knew would arrive. We had him meet up with the young live-wire, Daisy, first. It happened to be an excellent choice for a first meeting, because the two dogs hit it off in an instant! Hardly getting any "sniffs" in, Daisy and Jax skipped introductions, quickly proceeding to play. As time passed and the pack grew, Jax continued to "meet and greet" with all of the canines, and play with a few different ones. He did quite well for a puppy, exhibiting pretty darn good canine-communication skills. Jax is here to socialize, burn off some energy, and learn to be a loveable "Dog's Dog"... You know the type, calm and balanced, good with people, and most importantly, good with other dogs. We believe, given time, consistency, and a little help from The Fort, that Jax can check all of the boxes, while becoming a very well rounded adult dog. Keep up the good work pup-Jax and owners! Have a relaxing weekend, GO HAWKS! What an awesome double-whammy we had today! Get a load of Freya & Verbena, who had their Assessments today. Freya, is a nine year old, 125 pound, blue merle, Great Dane... And Verbena, is a four year old, 140 pound, black colored, Great Dane. These two large and in charge Dane-gals, hung-out with us today in The Fort's Big Roll, naturally. Freya and Verbena both did very well here today. The more "mature" Freya, hung back from the pack a little, and carried more of an alpha presence with her. While Verbena, branched out a bit more socially. The two didn't really play too much, however, they most certainly interacted with the other canines, and enjoyed their stay. Here, you can see Freya and Verbena getting to know the handsome Theodore... I think they were smitten with him lol. Swell job today ladies, welcome to Fort Fido, hope to see you again! This morning Fort Fido's Team had Cooper in for his Assessment Day. 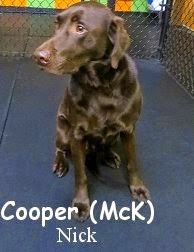 He is a handsome, five year old, sixty-five pound, Chocolate Labrador Retriever. Even though he is a Dog Daycare veteran, Cooper, wasn't quite sure what we had in store for him here at The Fort. He was a bit nervous after being ushered to the Big Roll, and took a while to get settled in. Once he met some of our other canine guests, he started "feelin it" more. As time passed and the Large Dog Play Area's pack grew, Cooper seemed to really start enjoying himself, he even played a little bit. Mostly, he just went around meeting the various pack members, strolling through the roll calmly, with his "sniffer" on high lol. He was fond of Jackson, and even liked a few of the other "Chocolates" that we had in today. Cooper is most welcome to Fort Fido anytime. Good on ya boy! In the clip that follows, you can get a glimpse of Cooper during his first meeting with Jackson. Howdy! Today we assessed the happy-go-lucky Zoey. She is a neat looking, ten month old, ninety-six pound, Labrador Retriever and Great Dane Mix. When Zoey first arrived at Fort Fido, she was not sure what was going on, and was a wee-bit hesitant to enter the play area. Once we got her into the Big Roll, she explored a bit, and slowly began to settle down and relax. We had a feeling, that as soon as she met some other dogs, she'd become even more OK with the situation here... Sure enough, that proved more than true. Once Zoey began to meet the pack, her personality totally blossomed, and from that point, it was "game on" for the rest of the day. Zoey speaks good "Dog" and makes canine friends easily. She played hard, and took a particular liking to Brix, among several others. Zoey's great, we'd be quite pleased to see her at The Fort regularly. 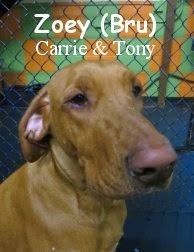 Here you can catch Zoey in a bit of play-action with Brix, awesome! Dog and Horse form Dynamic Performing Duo - This video is a must-see! 15 Dogs that should probably get an award Funny! Checkout Cisco! 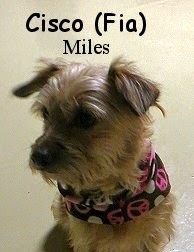 He is a dapper, six year old, eleven pound, Silky Terrier Mix, that assessed this morning. Upon arrival, Cisco jaunted with us upstairs, to The Fort's Little Dog Play Area. Once therein, he enjoyed sniffing around and marking his new found territory. After letting him get his bearings, we had Cisco begin to meet the pack. His "meeting and greeting skills" were real calm and proper like. Cisco really seemed to enjoy the company of the other canines, even though he didn't get into a lot of play. He is welcome to visit Fort Fido whenever he'd like, and we'd like to see him here again soon. Swell job today Cisco! All of the staff here at Fort Fido wishes everyone a wonderful and prosperous 2015! Have a great new years day!